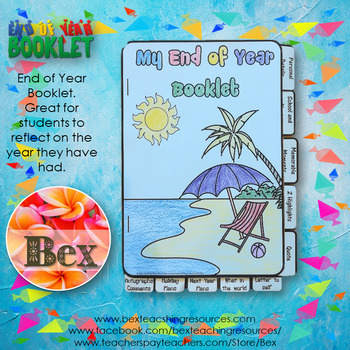 This is an end of year activity booklet. 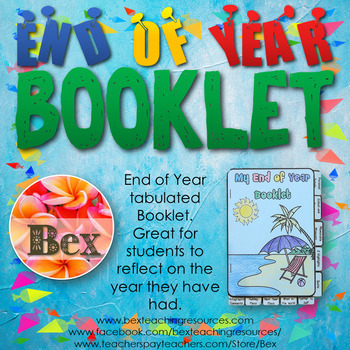 Students fill in their details, add their thoughts and reflections on the year they have had. 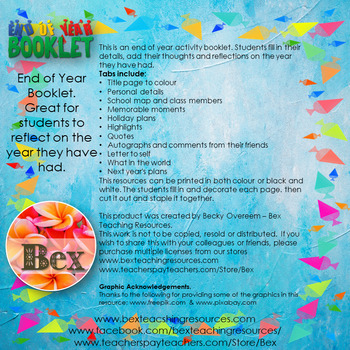 This resources can be printed in both colour or black and white. 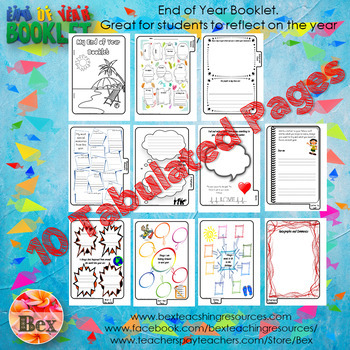 The students fill in and decorate each page. then cut it out and staple it together.